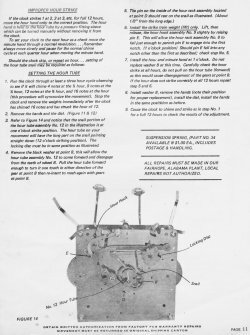 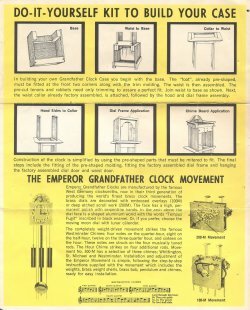 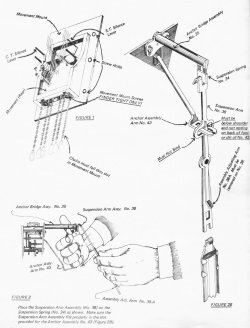 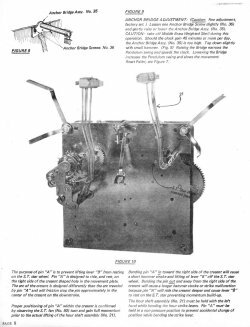 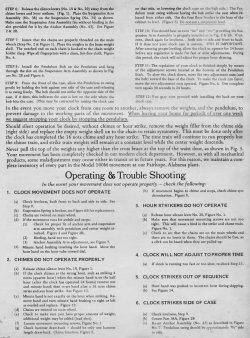 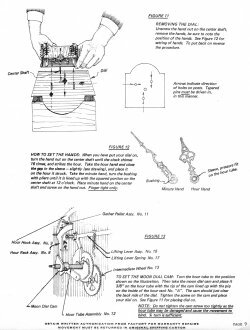 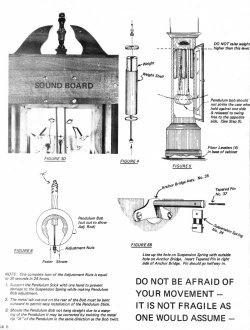 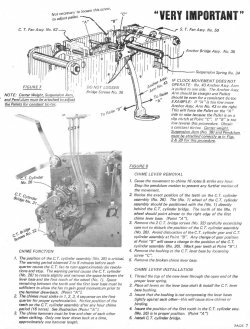 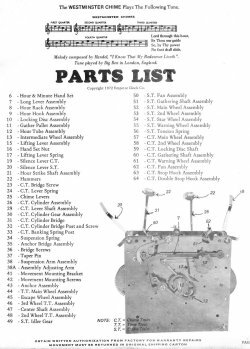 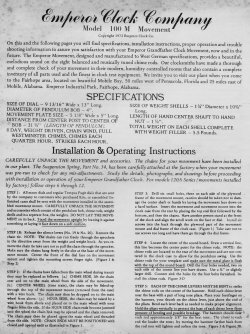 Below are scans of set up instructions for an Emperor clock, with numerous photos to help understand how the clock is assembled. 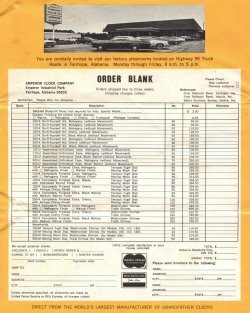 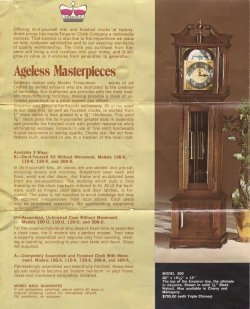 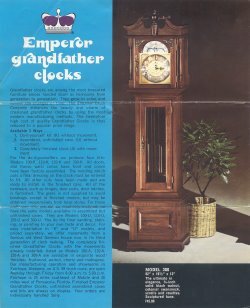 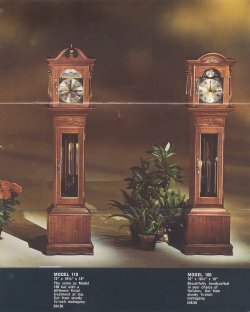 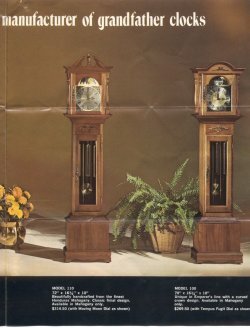 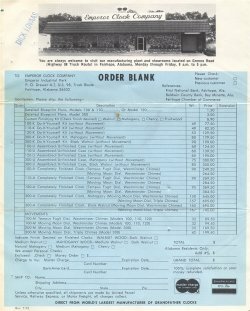 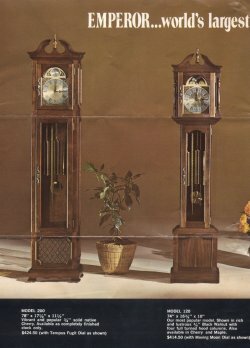 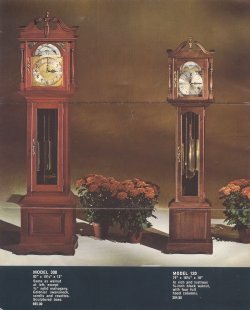 If you have an Emperor clock, you may enjoy these scans from two of their catalogs (ca. 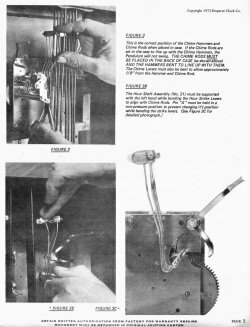 1973). 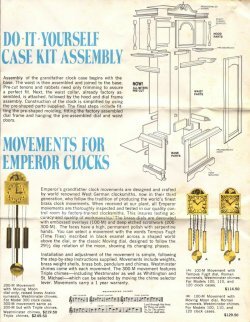 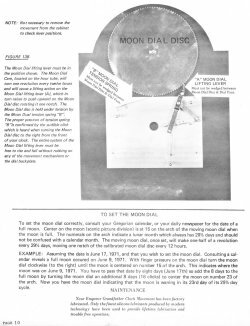 Emperor provided "do-it-yourselfers" with clock kits, from which they could build their own clocks for considerably less than buying a completed clock at the time. 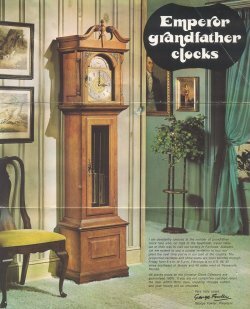 I have seen many of these clocks, so I expect they must have been popular. 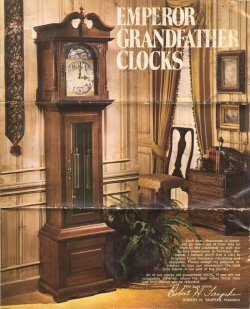 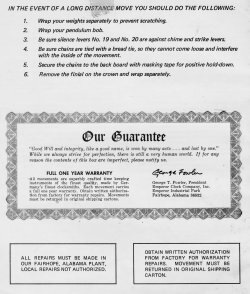 The Emperor Clock Company built clock cases in Fairhope, Alabama, installing German clock mechanisms, made mostly by Jauch and Hermle.